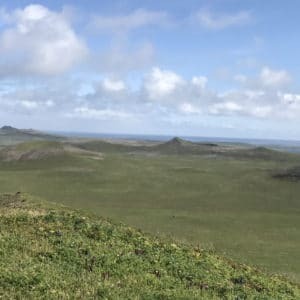 This year the WAYK Summer Language Intensive is taking place on St. Paul Island, Alaska (Tanax̂ Amix̂ in Unangam Tunuu), nicknamed the “Galapagos of the North”, a name true to the beauty and diversity of the flora and fauna here. St. Paul Island is a small island in the Bering Sea off the western coast of Alaska, whose twin island St. George is not far away. These islands are part of the land of the Unangan people, and the flora and fauna of this island, especially the population of northern fur seals, is of particular importance to the people here. For such a small island, there are scores of species of mammals, birds and plants that make their home here. 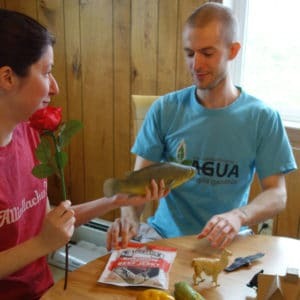 I came to the WAYK Summer Language Intensive because I wanted to learn more about the efforts that the St. Paul Unangam Tunuu language team have undertaken to revitalize their language, and, of course, to learn more about the WAYK method. An extra benefit is being able to spend the summer in one of the most stunning natural places I have ever been to. One aspect of this experience I didn’t expect to invest so much in is the amazing population of birds. 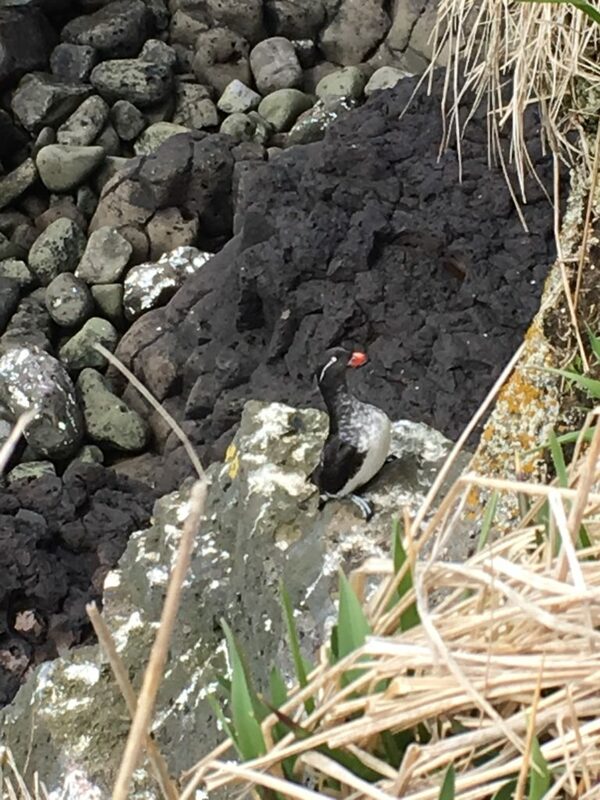 I hope in this blog to share some of the birds I have seen in St. Paul, to help readers of the WAYK blog get a better understanding of the place in which WAYK is doing work this summer. 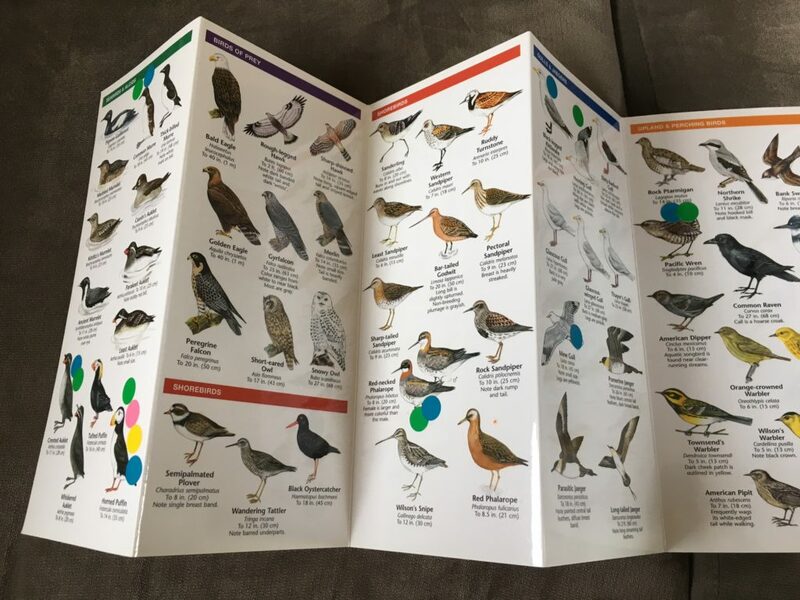 There are some discrepancies between the book and St. Paul’s bird population, but not so much that we can’t identify a lot of the birds we are seeing. I have seen so many of these little birds, which hang out on the cliffs around the island. My favorite bird sighting. I have always loved puffins and it was really neat to finally see them in real life. 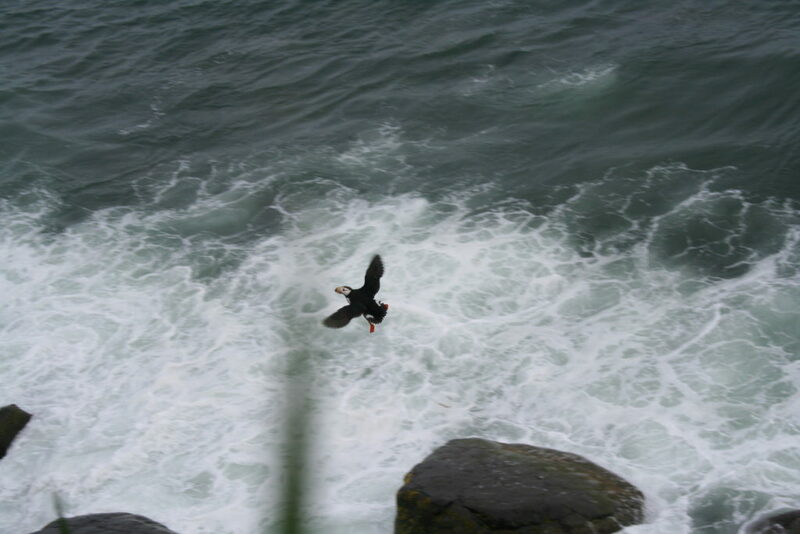 They are tiny but they have a certain confidence to them as they flap their small wings flying from the cliffs above the water. Hiking on Sundays has started to become a habit for a few of us at the WAYK house. Last Sunday we hiked Polovina Hill, on the east side of the island. The wrens like to stay around the tundra on the island. Along the way, we saw dozens of wrens, and even a few wren chicks. 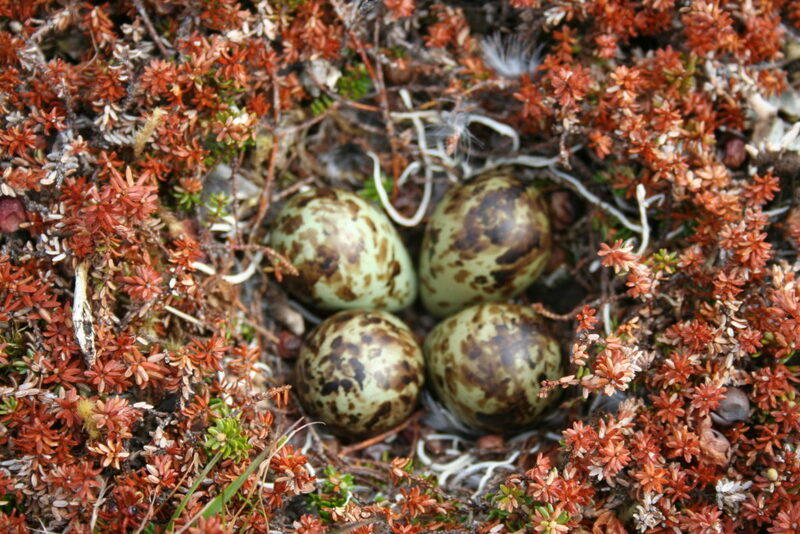 To lead hikers away from their nests, the adults will often fake injury to draw attention away from where their eggs might be. This bird seems very common on St. Paul Island, and is larger than rest of the birds on this list. I have seen many of them already, but their long necks and wide wings are always make me pause when they fly off the cliffs here. A critical aspect of language learning is understanding the relationship between your language and the natural environment in which your language developed, and I hope to learn more about this relationship during my short stay on St. Paul Island. 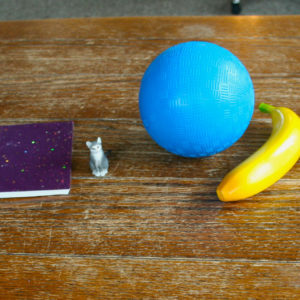 Post authored by Myles; photos by Mary and Myles.